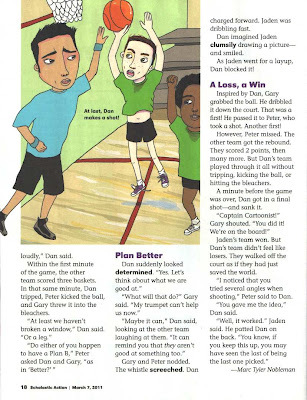 A short story I wrote for Scholastic's Action is in the issue dated today. The magazine is aimed at middle schoolers who read below grade level. 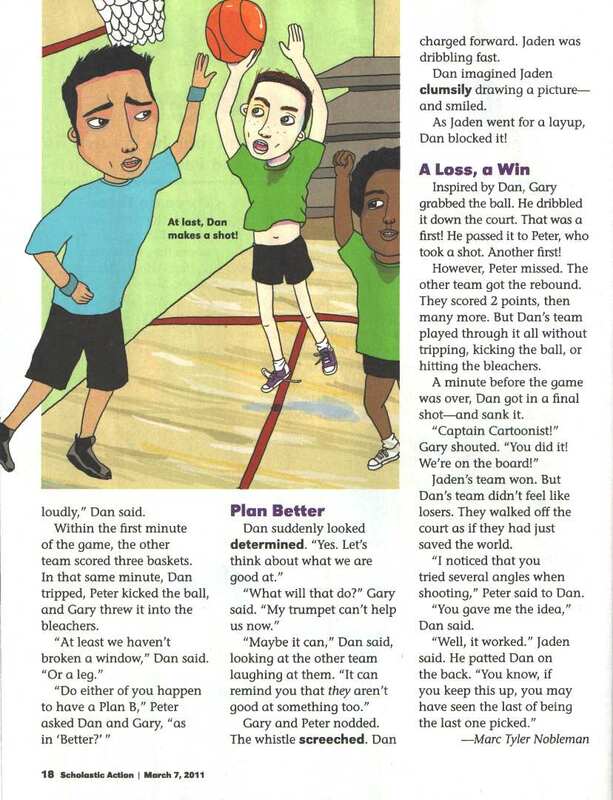 The story was inspired by a 7th grade gym class experience of mine. Thanks for this! 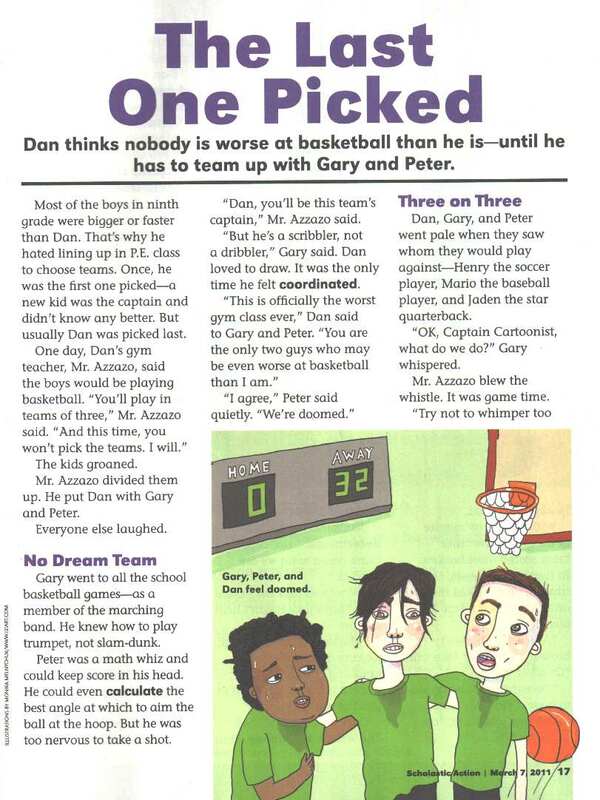 My 7-year old son was crying about always being picked last in gym this morning. I am glad that I'll be able to share this story with him tonight. Delighted to hear this, Anonymous! And a possibility I had not considered, making it even more heartening. Thanks for sharing.